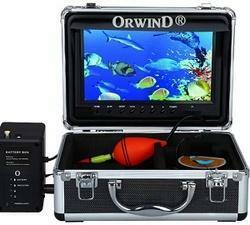 ORWIND LCD BOX Professional 9" Coloured LCD Large Screen Monitor Waterproof HD Additional Camera Attachment 30M Cable with Carry Case Technical Details: Monitor: 9"
We are the most reliable trader and supplier of an excellent quality range of CCTV Accessories. This CCTV Accessories is designed by our vendors using the finest quality electronic components and advanced technology. We offer this CCTV Accessories in varied specifications at the most reasonable price to the clients. The advantages of a ball head in general are well known. What sets the STETI SWEETSPOT apart is ease of PRECISELY adjusting the amount of drag on the ball by simply turning a knob. We have marked a distinct position in the market by providing a high quality range of CCTV Camera Array And IR. Available with us is a wide range of Digital Canvas, which is known for its innovative patterns, attractive colors and fine finish. Our range is designed using quality material and is available with various frames to suit the clients’ requirements. Available at cost-effective prices, these designs can be customized as well. 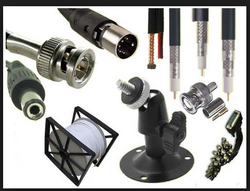 we deals in branded CCTV equipment & accessery. we are distributer of dhaua CCTV system & dealer of cp plus CCTV. we work on projects also. for best rates & better service call us. Owing to our vast experience of this field, we offer the best series of CCTV Stand. Being one of the best firms, we are extremely engaged in offering a wide series of Active Video Balloon. Plug & Play, easy operation Extremely Sensitive, adjustable. Great for Security sound Monitoring. CP Plus CCTV HD CP-UVR-0401E1S 4CH DVR FULL HD 2.4mp Bullet IR Camera 1TB HDD KIT.